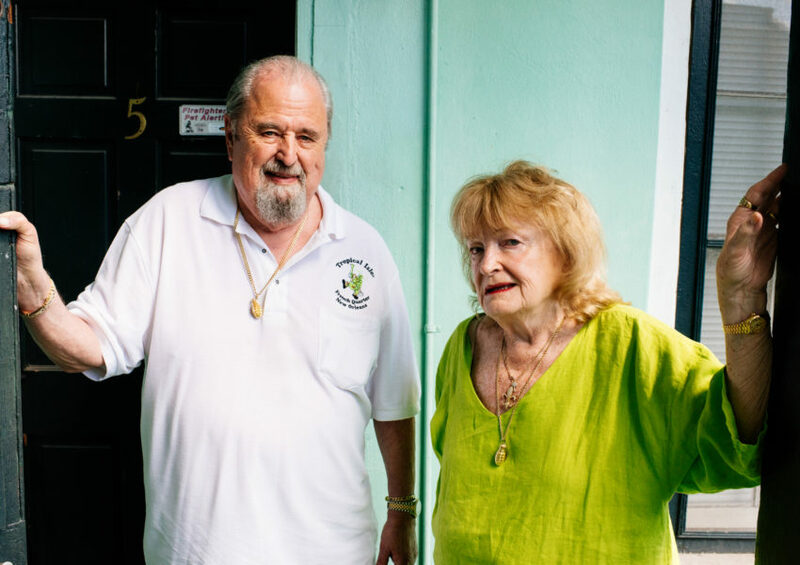 Pat O’Brien and Charlie Cantrell founded their bar just off Bourbon Street in 1941, after years of operating a speakeasy a block away. The new location was a big, beautiful complex carved out of several old French Quarter buildings, with an outdoor, grassy lawn in the middle, hidden from street view. Ladies and gentlemen would picnic here while sipping beers and Hurricanes. The Hurricane is New Orleans’s most famous cocktailian creation (that might not have have been invented in the city at all). 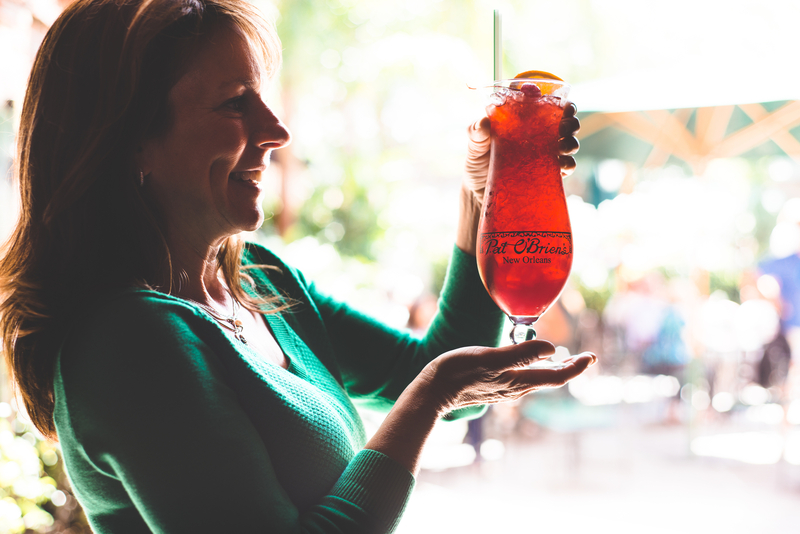 It’s a potent, fruity-red drink served in a bulbous-shaped glass in the sprawling barrooms, courtyards, and to-go windows of Pat O’Brien’s. It introduces the city to most visitors. For those born here, it is often their first legally purchased alcoholic beverage. And whether it was invented in the city or not, it is a singularly New Orleans phenomenon. 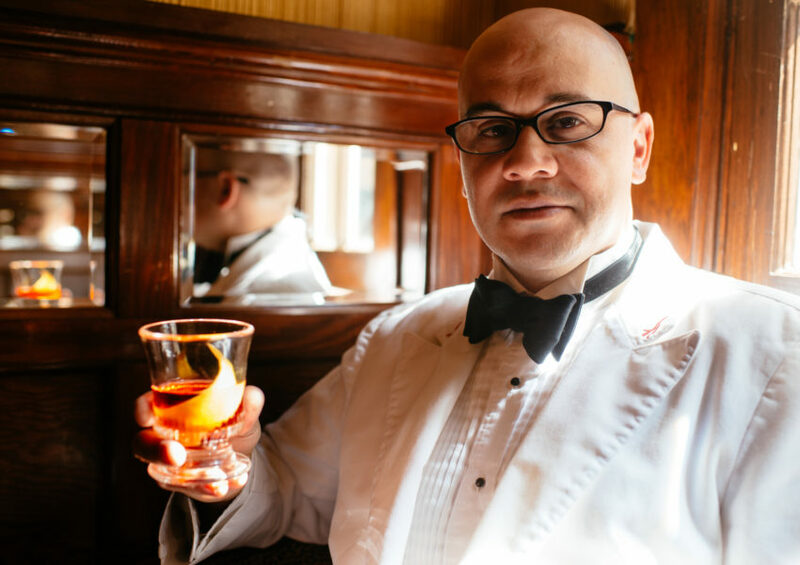 Shelly Waguespack’s grandfather George Oechsner Jr. worked in the shipyards and managed a couple different bars in the French Quarter. Pat and Charlie hired him as their bar manager in the 1940s. 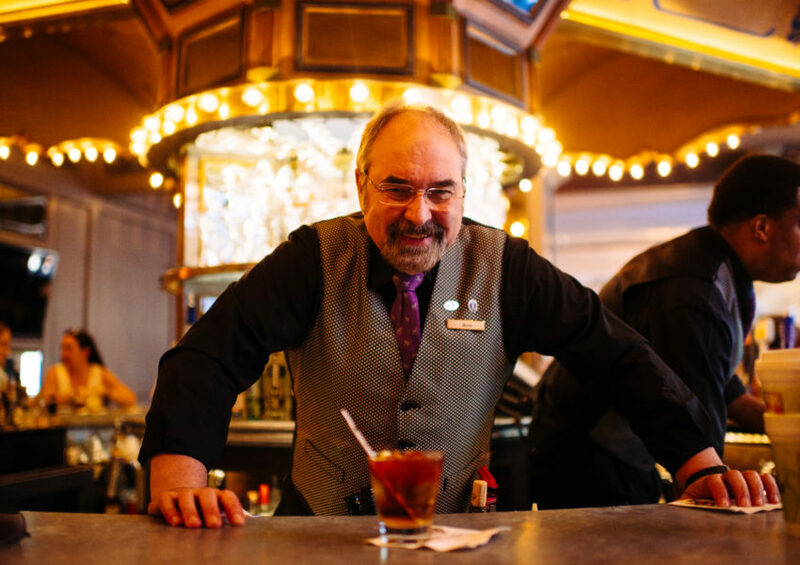 George Oeschsner III (Shelly’s father) helped his father with bar maintenance and cleaning as a young boy, and grew up learning the business. George III turned Pat O’s, as everyone calls it, into one of the city’s most vibrant social spaces: transforming the lawn into a brick courtyard, adding nighttime entertainment like the dueling pianos, and launching the Hurricane into the nation’s cocktail consciousness. For Shelly growing up in the bar, admiring the green color palate, and eating cupfuls of cherries in her dad’s office defined her childhood. By the 1980s, Pat and Charlie sold all of the bar’s stock to the Oeschner family. 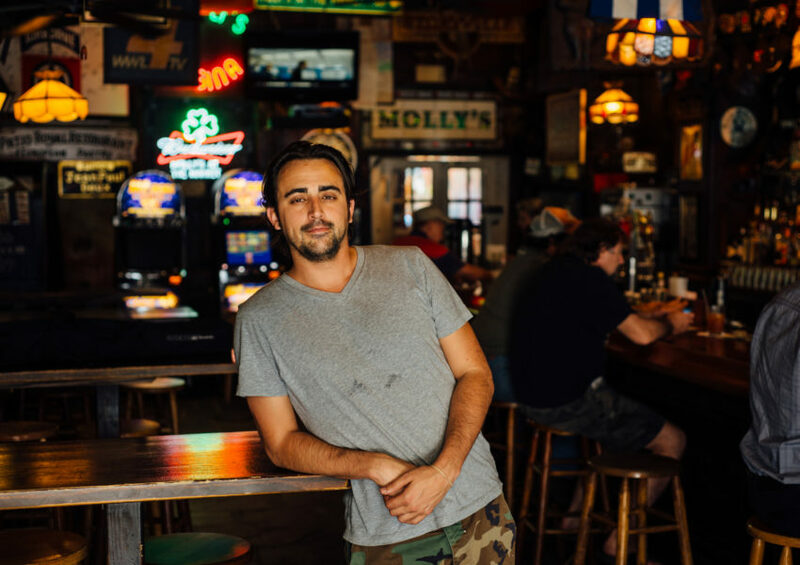 Shelly has led Pat O’s into the twenty-first century.